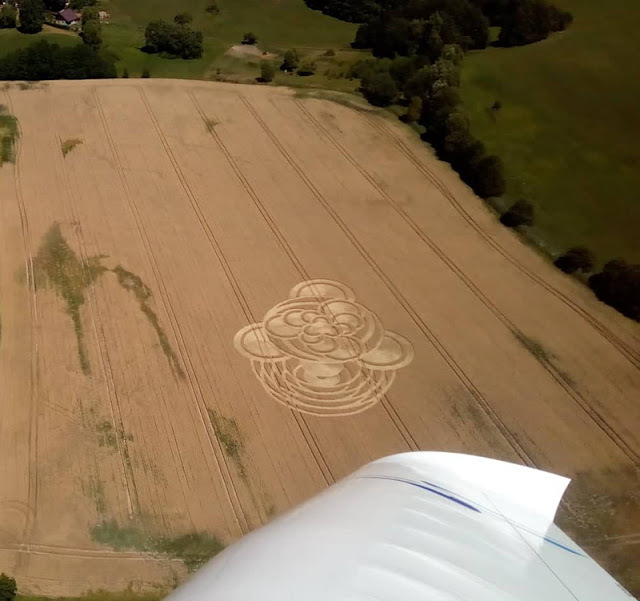 A dear friend of mine Ilona Podhrazska who is an author and ufologist from the Czech Republic sent me a private message on Facebook on the 24th of June telling me she had been informed by her alien contact EBE to watch out for a crop circle in the Czech Republic in July. Now before all you sceptics start calling me a nut-job, Ilona has been in contact with a humanoid EBE since the 1990's and is very famous in the ufo world and the Czech Republic and has appeared on many television shows and written a book on her exploits with the humanoid EBE. She and her sister Ivana contact the EBE through a homemade Ouija board and experts are astonished over the technical knowledge the girls reveal. 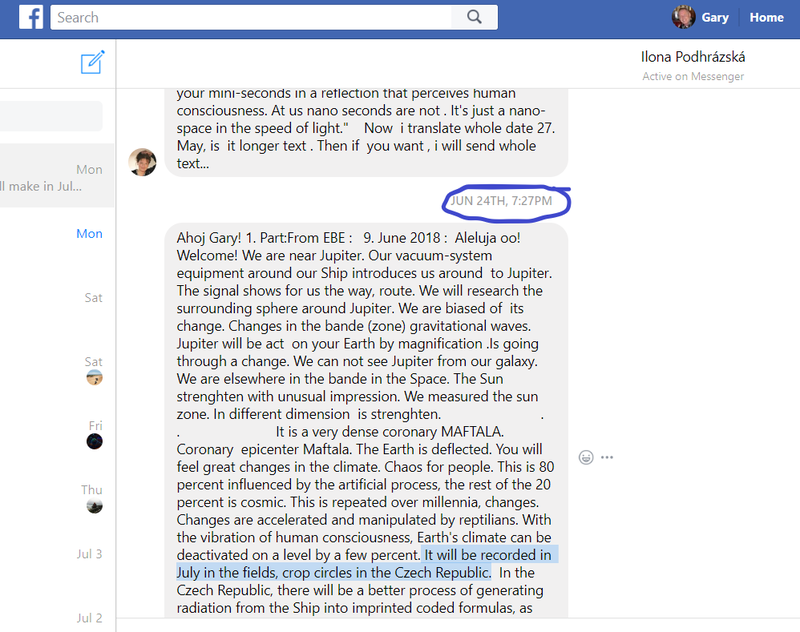 You can read her original message sent to my Facebook account on a screen grab below, it is translated from the Czech language, Ilona is learning English at the moment. 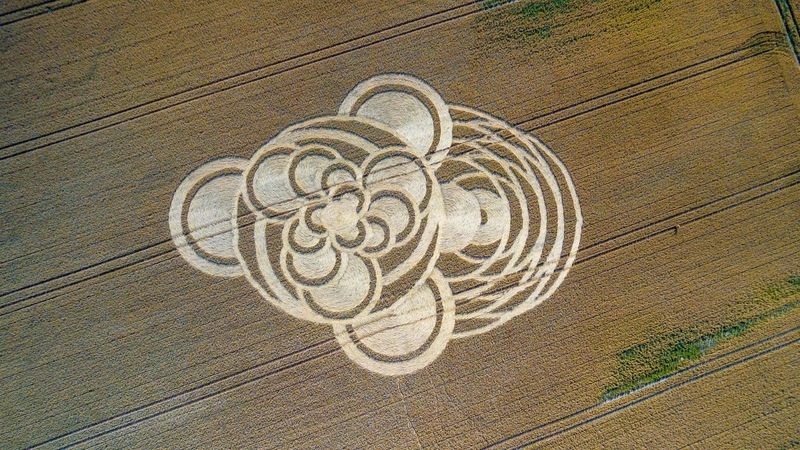 Now the Czech Republic is not a hotbed for crop-circles and for Ilona to be told one month before it happens is nothing more than spectacular, how on Earth can a couple of Czech sisters pull off such an intricate pattern in the middle of a field without being seen, they couldn't of course, so who is humanoid EBE? Is he/she ET? A Demon? Spirit? What would you do if you were given a chance to contact 12-D humanoid? Or 101 ways to protect the earth? Sit back and relax, because Czech girls have already engaged themselves. The Czech girls, Ilona and Ivana, compiled the conversations with the humanoid each time and published as a book Czech Girls ET Contact with Humanoid EBE Olie. It all started with trying to call out spirit but ended with an alien instead. Ivana has been the medium to communicate with the humanoid. Fortunately, the 12-D alien goes by the name Olie, which is suspected to be Energical Biological Entity or simply EBE. Our humanoid friend Olie, is from the planet Elielji, millions of light years away. The story is interesting, at first, the two sisters refused to believe, but the alien performed manoeuvres in the sky. It goes like this –there were thirty people in the scene, including a pastor, the clouds started to form gaps and then the object showed up! The so-called UFO performed zig-zag motion going back and forth and back and forth over and over again. The object glowed green and red that excited the people there. “…the clouds started to form a gap that more and more expanded and spread up to heaven in a large cleared. For a while we all waited and then it occurred. Their extraterrestrial object flew zig-zag back and forth and forth and back again and it showed 7x back and forth. Nevertheless, the conversations with the humanoid are not normal chit-chat, but very important ones. In one of the conversations, the alien calls itself the creator of the humans. (Christians will know that claim is a great deception) Brackets added by Gary Walton. It also reveals the mission on Mars, power plants on Earth, and its anatomy. The busy guy Olie from the advanced civilization has been answering questions from several physicists, UFOlogists, movie directors, writers, from all around the globe. 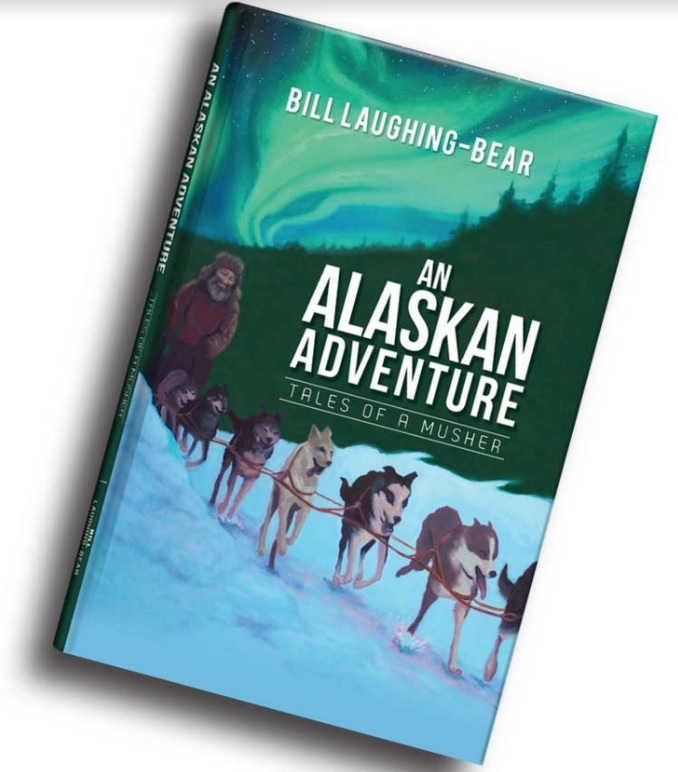 The book has some personal encounters shared; Ilona and Ivana firmly believe that their communication with Ebe is true and faithful. We hear such stories for many years –abductions, telepathic contact, UFOs, moon bases, psychic powers, but it is you who will investigate and seek for the truth. There are phenomena that cannot be explained by science or we have not found a method, yet. One thing is clear from these “unusual” books, people have slowly started to react or to be accurate, believe what they experience, and pen down. Czech Girls ET Contact with Humanoid EBE Olie is one such book that took courage to bloom out among the closed-minded people.